Leaders from state and national liberal organizations on Monday called on U.S. Sens. 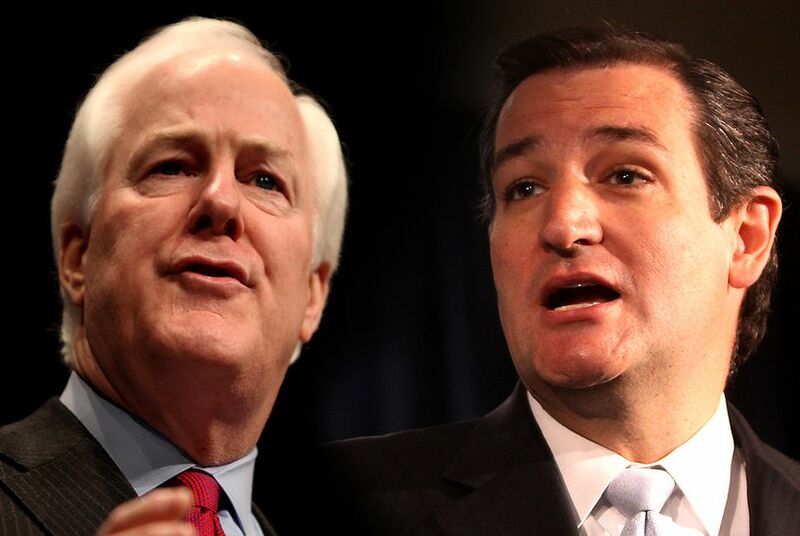 Ted Cruz and John Cornyn to increase efforts to fill nine vacant federal judgeships that impact Texas. Catherine Frazier, a spokeswoman for Cruz, said they have been working with Cornyn's office and the Federal Judicial Evaluation Committee to get the best candidates for the vacancies. "Our offices have been in regular contact with the White House and are working in good faith to ensure Texas has nothing but the most qualified, capable judges defending and representing them in the courts, Frazier said. Phillip Martin, deputy director of Progress Texas, said that current federal judges are very conservative and that his organization would like to see more diverse candidates appointed to fill vacancies. “Put forward candidates for federal judicial positions who are well-qualified, who have a diverse and broad experience that lends well to the debates that go behind deciding these important cases,” David Hinojosa, southwest regional counsel for the Mexican American Legal Defense and Education Fund, said Monday, adding that more Latinos should be appointed. Nan Aaron, president of Alliance for Justice, said the issue has been particularly important for immigrants along the border who have “been caught in the web of immigration laws,” as it lengthens the amount of time that their citizenship status can remain in limbo. *Editor's note: The original version of this story misattributed a quote from David Hinojosa, southwest regional counsel for MALDEF. The story has been corrected.